You have found a place free of sales pitches and required account sizes. This is where concerns get addressed, and you feel better about your future. Discovering us was the hard part. Now, let’s get your financial house in order. Quite simply, our mission is to make excellent, objective financial advice available to people regardless of net worth. Learn more about how we differ. 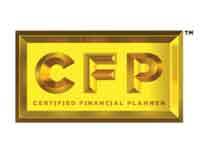 We are a fee-only financial planning firm providing guidance to individuals and families on a project basis. “Fee-only” means we do not sell any products, and our compensation comes only and directly from our clients. Learn more about our services and process. Check us out and see if we’re a good fit. The first meeting is at no obligation and no cost. Learn more about our process. Then click the contact page to reach us. The Get Acquainted Meeting is offered at no charge and no obligation. This is a good way to get to know each other, discuss what you’re looking for, how we can work together, and ultimately decide whether we are a good fit. Advice is not typically given during this meeting. It usually lasts about 45 minutes, and can be done either in person or over the phone. A confidential questionaire must be completed prior to this meeting. This service applies when you have only one or two concerns, such as getting a clearer picture as to your current readiness for retirement or specifying the cash flow you will need over the next 10 years. Resolving this concern can put your mind at ease, and be a start towards a more extensive financial plan. In preparation, you’ll complete a questionnaire and provide relevant documents ahead of time. We then use the information provided for data input and analysis. We’ll next have a 60 – 90-minute meeting where you’ll get an overview of where you stand in relation to the specific goal/issue, answers to pressing questions and concerns, and a concise list of recommended action steps to take next. You’ll make the payment for your plan at the end of this meeting. Afterwards, you can expect follow-up communication to address any loose ends. A limited financial plan is great for those who may not be ready for extensive financial planning, which involves larger commitments in both time and cost. An extensive financial plan starts by clarifying your needs, goals, and dreams and discussing any fears or obstacles. We’ll examine the pertinent aspects of your financial life and make a series of plans that align your finances with your priorities. The result will be a clear understanding of your situation and what steps are needed to maximize the likelihood of success. The pricing for this customized planning is based upon your needs and the complexity of your situation. We’ll break down the overall plan into several phases, each with a delivery plan meeting. You’ll make your payment for each phase at the end of that meeting. Most effective ways to remove threats to your financial plan, such as the risk of long-term health care costs. Paul O'Neill, is the Founder and Principal of O’Neill Financial Planning, LLC. Serving on the finance committee of a university board of trustees. 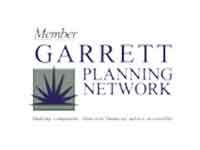 He has served on the board of directors for the Southwest Florida chapter of the Financial Planning Association. Paul is a native of Chicago, relocating to Estero, Florida in 2012. Along with his wife Kathie, he enjoys visits with his two daughters and four grandchildren, be they in Florida or in the Chicago area. Paul's firm, O'Neill Financial Planning LLC, is a Registered Financial Adviser in the state of Florida. I wanted to help people navigate the sometimes confusing world of personal retirement finances. I have been making the same journey that many of you are now taking. I’ve have had to personally work through many of the same issues that you are dealing with. In doing so, I have used all of the strategies and techniques in this book. My goal is to make it easy for you to use these tools in improving your own personal retirement financial plan. As the title suggests, this book was written for a fairly selective audience: Those beyond age 55 who feel a need to review and improve their retirement financial plans. All of the strategies, specific techniques, and examples in this book focus on the needs of those in this critical phase of retirement planning. What about those younger than 55? Many sections of this book will address their needs, because it contains fundamentally sound financial ideas and techniques applicable to all ages. That said, this book will be of the greatest value to those people who are approaching, or who have begun, retirement from their primary income-producing job. How can you best use this book? The first part of the book deals with the most common and immediate financial concerns. It should be helpful to you as you address whether you are on the right retirement financial track right now - and if not, what you can do about it. The second part takes you through the complete planning process – from establishing goals through to the development of a comprehensive plan – using tools and ideas I adapted from teaching MBA students. This section will be especially useful for those who have never established a formal financial plan, or for those who would like to make a strategic review of their finances. My sincere hope is that by reading this book, you will be able to take more effective control over your retirement planning. This can be accomplished by either learning how to use these strategies and techniques totally on your own, or by being better able to work with a professional advisor, such as a CFP® professional. That’s why the process is best viewed as circular – interactive and ongoing. It begins with the Get Acquainted meeting. The data gathering may require a meeting to clarify concerns and issues. The internal analysis is done by the planner. During the plan presentation meeting, the analysis and recommendations for each financial topic within the scope of the engagement are discussed and delivered via written document. Implementing the plan recommendations on a timely basis is imperative. We would be happy to assist you with this action step, though it may require extra time and additional charge. If so, an estimate must be agreed to prior to commencement of this step. After an initial extensive planning engagement, we strongly recommend you have an annual check-up. This can vary in time and complexity, but typically will be considerably less costly than the initial engagement. And if you experience a major life change, please don’t wait for the annual checkup: contact us right away so that together we can make appropriate modifications to your financial plan. Most financial advisors require that you have a minimum account from $500,000 to $1,000,000. Most financial advisors require that you allow them to arrange custody of their funds. Most advisors receive some type of commission-based compensation, which can create a conflict of interest when having to choose between what’s best for the client and what pays the advisor the most. This type of compensation can be earned in various ways: the sale of a financial product, such as a life insurance policy or variable annuity, or from investment vehicles, such as mutual funds with front-ends loads or internal expenses (called 12B-1 fees) of which the advisor gets a share. Our fees are based upon the time spent or the scope of your financial planning engagement. There are no minimum account size requirements in order to qualify for our services. You will control the custody of your funds. We won’t hold your money. Being a “Fee Only” advisory firm means that all of our compensation comes from our clients directly. Similar to a CPA or attorney, we get paid for our expertise, time, and advice. We don’t sell financial products or receive any direct or indirect commission-based compensation, which in turn greatly reduces the potential for conflicts of interest. I’m interested in a Get Acquainted meeting. How do I proceed? You contact us via email. We will call you to discuss your interests and determine if there is a preliminary fit between your interests and our services. If the fit looks promising, we will schedule a Get Acquainted meeting. You will download and complete the Confidential Questionnaire prior to our meeting. At the Get Acquainted meeting, we will discuss the Confidential Questionnaire and make a joint decision on moving forward. What is the profile of your typical clients? Most of our clients have a major focus on retirement planning. To respond to their needs, including those who are unable to become clients, I have written a book titled “Retirement Planning Beyond 55”. If we move forward, how may our next meetings be conducted and who decides the method? Our next meetings may be conducted over the phone, via Skype, or in person. 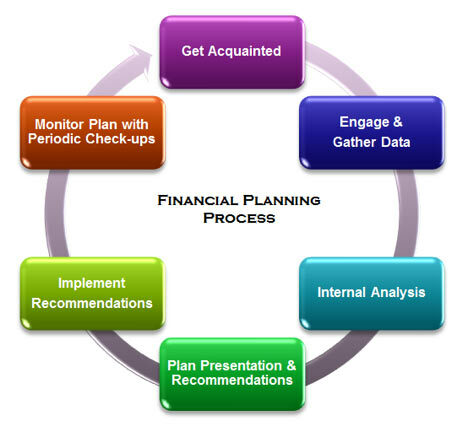 What meeting method is typically used for each step in the Financial Planning Process? If you’d like to schedule a meeting or ask us a question, please fill out the form and click the “Submit” button. Thanks for visiting our website. We look forward to hearing from you.